This year at Aero, Stemme kept its promise to bring new models to the market. On their booth was the glass cockpit S12-G with 25m wing span, dual Garmin G3X, auto-pilot and soaring flight computer. Along side was the new S12-SW entry level, 21,7m wing span with advanced winglets to optimise performance. 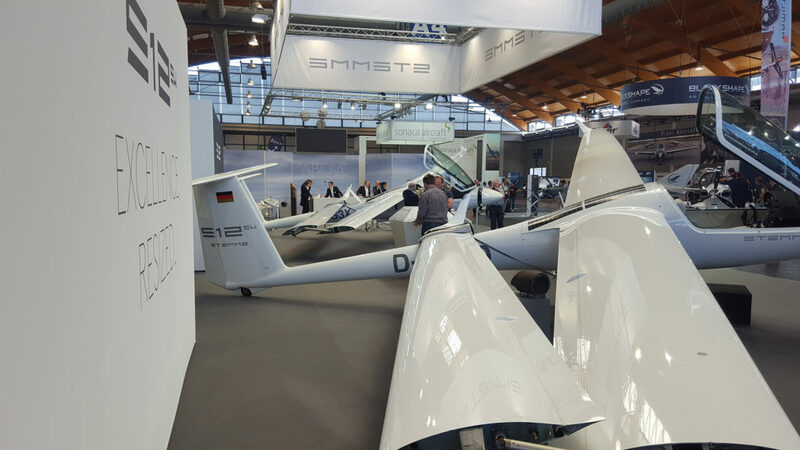 Stemme has obviously read the market right by bringing to Aero, the two most advanced motorised gliders ever conceived – they sold two aircraft off the booth. Back home, Stemme-Africa has been active too. 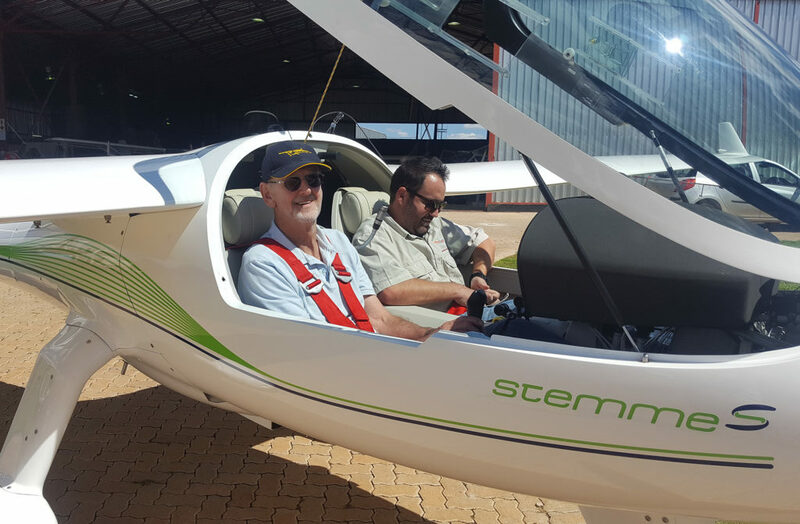 This month an S6-T 18m touring motor glider arrived at Potchefstroom and we can’t get the grin off the new owner’s face. With full span camber changing flaps, the S6 is the highest performance TMG ever produced, with a turbo charged motor to get out of our high density altitude air strips. Every time it takes off at Potchefstroom, heads turn due to its quiet powerful exhaust sound and futuristic looks. In July, the first South African S12 arrives, and will be operating from Springs airfield. Peter Bailey used to operate an S10-VT, which we took over and renovated to become our demonstrator. With major successes in both the utility and sport aviation markets, Stemme has had to treble its engineering staff and production facilities. In 2017, Stemme acquired the modern Remos factory in Pasewalk, where now Stemme composite parts will be produced alongside the upmarket Remos LSA. The S12 assembly capacity near Berlin will expand with a brand new building, due for completion in a year’s time. Stemme-Africa’s S10-VT will be on display at selected airshows and fly-ins this season, and Stemme will be making its mark at AAD-2018. Stemme-Africa is based centrally at Gariep Dam, South Africa’s premier soaring region. Under power we can reach almost anywhere in the country in a few hours to meet serious clients on half a tank of 95 ULP.